One of the benefits of having had this website up for 17 years is being able to trace things through history. 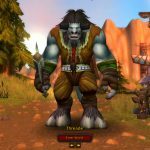 So in 2006 I gave World of Warcraft a heavy go. Nobody in my local circle was really playing it (or, if so, hadn’t mentioned doing so), and I was deep into City of Heroes at the time. I bounced off fairly hard due to the grindy questing (Kill 10 rats. Now kill 20 Superrats. Now kill enough rats to get 12 Rat Pelts with a 20% drop rate. Now kill the Rat King. Now kill 10 wolves. Now kill 17 Superwolves…) I did the same shortly before Cataclysm rewrote the beginning in 2010 and then with more success afterwards. 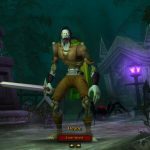 The 2010 attempt was a Horde Hunter run that got as far as the Burning Crusade content and then bounced off again when I hit the same grinding that made the 2006 attempt frustrating. 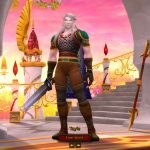 I enjoyed a lot of the new Cata content, the phased areas that really felt like you had changed the world, the more variety and substance to a lot of the questing. This year I decided to make another attempt. I tend to phase through MMOs, spending a few months cycling through Lord of the Rings, Neverwinter, The Secret World, & Wildstar. 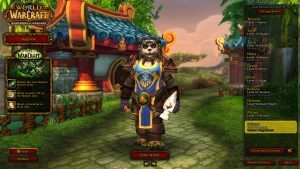 With all of them not appealing for various reasons, and with Blizzard granting all the prior expansions to everyone ahead of the new Legion launch I took a run at that with the new Pandaren Monk options. 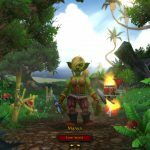 The Alliance 1-60 levelling experience did not fill me with the same level of satisfaction as my 2010 run. The badly dated CSI:Miami post-tutorial opening area didn’t really work for me, and a lack of any real stakes or observable difference in the world, along with a lot less variety in the questing – still a lot of kill-10-rats, but without the interesting custom-mechanics to break it up – made it a bit more of a slog. On top of this was a distinct lack of an overarching narrative. 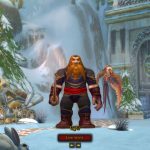 Blizzard are really good at making large and lore-filled worlds with big epic stories, but none of that appears to come across in the world itself. Some of the zones have nice consistent arcs with interesting twists, but barely anything seems to persist between zones or relate to the rest of the world story. Five or so of these small arcs and I hit Burning Crusade with the traditional wet thud. It’s possible that part of missing story was by skipping occasional entire zones because I’d levelled past them. More than once I entered a new area and the first set of quests included the traditional “Thank you for all your help, go over here and help these people next”. But since I didn’t see any sight of it when I *was* paying attention, I guess not. I was advised if I wanted to skip BC, I could do so via dungeons and extra-circulars, and this was reasonably easy. 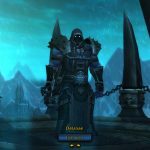 I took up a flying mount and went on an archaeology binge with the Dungeon Finder queue up, and this was so effective I had to start filtering down which dungeons I had done so as not to outlevel some before I’d done them once. 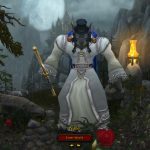 Eventually I hit 68 and was eligible for the 2008 Lich King content, the point where WoW storytelling kicked in again. 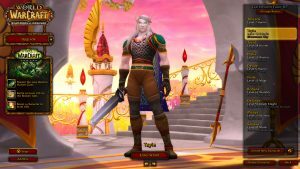 Mostly I’m finding I’m levelling too fast through it (Borean Tundra levelled me passed Dragonblight, so I’ve cleared Grizzly Hills and was working through Zul’Drak when I hit 80. So now I’ve stopped XP gain while I finish off the storyline through WotLK and get to Cataclysm content. 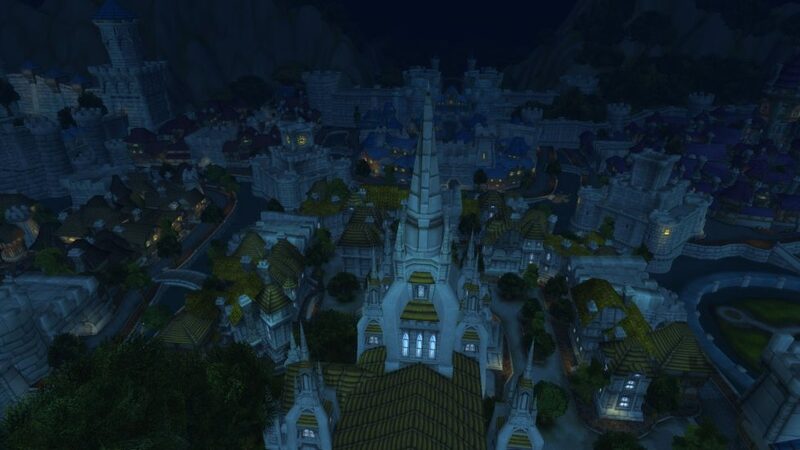 I’m finding the WotLK content far better than slogging through BC, although the themes and stories of BC seemed really interesting, the wiki was doing far better than the quests for going through it. 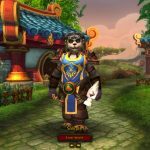 WotLK still lacks cohesion in its overarching plot – that the Lich King pops up every so often doesn’t a narrative make – but things like following the rise and fall of Drakuru through a zone/dungeon/zone sandwich is satisfying and I’d like to see more of it. Much like the NPC-Hero/PC-Questgiver stuff I enjoyed from the new early zone refresh, though, this kind of stuff is spotty and rare at the moment.